The month of extraordinary events, something I had never experienced before in 23 years of my life. It was May 2017 when I returned home. I saw a cat sitting peacefully in the garden. It was strange and surprising because no one at our house was fond of cats. We were anti-cats, but pro-dogs *insert noon-dangerous, non-poisonous creatures here* for that matter. I was told that the cat just came in during the March/April and stayed, so we vouched not to displease her. Since that day, she became our informal pet. She was friendly. We could pat her. She liked it. She loved us. I named her lynx. I thought it was a beautiful kitty name. We got an irregular visitor though; her partner. He showed opposite qualities – he was hostile, scared, a spy lol, not friendly etc. Since her arrival, Meow and Fish never contradicted. When she ‘meow’ we gave her fish. It was her favorite dish. I noticed her fat stomach and wondered, “Well, she is strong enough, she can feed herself, why not let her go?” But she was too cute and adorable, so I never played the black card. Then I realized that she probably is pregnant, which was true. 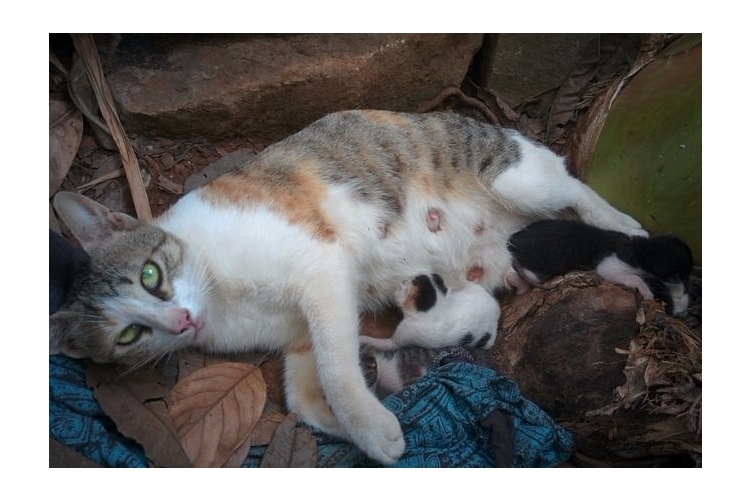 In June she gave birth to 3 healthy kittens. It was a cold night. It was raining heavily that night. I still remember, the day before she was to deliver her babies, she looked as if she was in bitter pain. It saddened me. What’s worse, she never ate anything for 2 days. Yes, no water as well if my memory serves me right. She was fully focused on the new life. I did not see her budge. She stayed at the same place for 2 nights feeding her babies. I recall, when I once went to check how she was doing, she purred at me as if sensing a threat. Two days later, we went with a bag of raw fish to her lodge. Off she came and finished the fish within no time – I bet she would win the contest of the fastest eating being on our planet. Well, days passed by. The kittens grew. She often switched her small den, probably for safety. To cut this long story short. The kittens are now ‘teens’. We will be letting the kittens and the mother go their way since we don’t have the resources to take care of such a large family. I thought of taking them back to the streets from where they came from once they were mature enough, but today I have another plan. I came across crowdfunding in India and although I'm familiar with this concept, I do not know how popular this is in my country. But I am ready to give it a shot. I cannot let these beautiful lives just go away, neither can I keep them as I don’t have the funds. I calculated the funds needed for their survival. 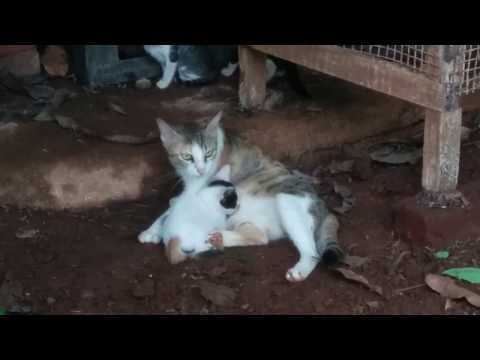 30 INR per cat per day seems legit. Then for a year, it should be around 54k, as time goes by I might have to raise more funds, but yes, let's look one year ahead into the future. I’m sure the mother can manage herself, probably, and I can spare my energy and time to take care of one cat at least. It’s not a big issue. We have a dog as well which is why we find it difficult to look at more. They are all a part of our family. PS – We haven’t given names to our kittens. Please suggest me 3 names. Thank you all. I appreciate your kind gesture for sparing your time in reading this story. Your share could be as good as a donation for Ashton Pinto! Not everyone can afford to take care of their loved ones. Ashton Pinto's life can only be saved by donations made by kind people like you.